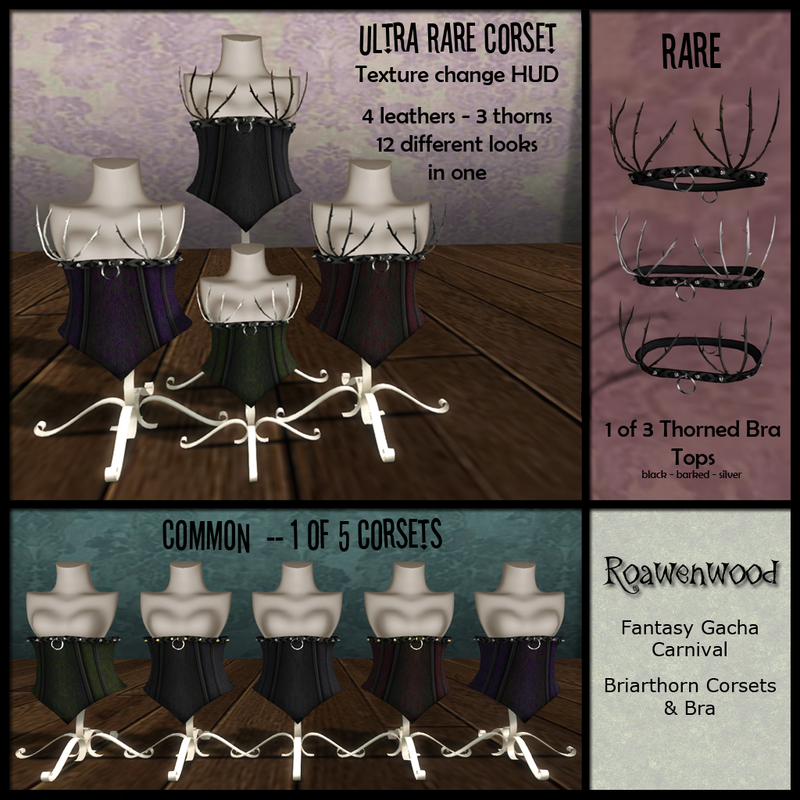 So 2nd post today and hopefully the last for today :P But more items from Fantasy Gacha from La Petite Morte , Keystone, Roawenwood and Meshed Up. The headpiece and Choker are a joint venture from La Petite Morte and Enfant Terrible coming up with something absolutely stunning and very unique. Keystone brings us this incredible cute belted skirt to the gacha that is not rigged and very easy to adjust to whatever your wearing, This Skirt can be worn in so many ways. Roawenwood brings to the table some great corset and wooded bra sets which are incredibly unique and are rigged to fit very nicely however just a heads up the wooded bra does not work with the Lola’s. And lastly Meshed Up’s bracers have fantastic detail and will be available at the gacha in several different colors the unique style of these bracers add that final extra touch to any look you are going for.